iDealing.com is an execution-only internet service designed for private investors, Investment Clubs, and approved Companies to buy and sell UK and Foreign equity shares in a live environment. Orders can be executed against real-time quoted prices within a timed countdown period. Immediate confirmation that the order has been dealt can be given online. 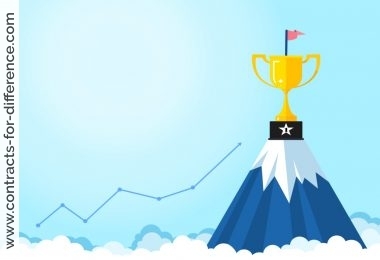 All shares are held electronically within the Crest system under a nominee, iDealing Nominees Limited, owned by iDealing.com Limited. The client is the beneficial owner. Dealing is a member of the London Stock Exchange and is regulated by the Financial Services Authority (FSA). iDealing’s private clients are protected by the Financial Services Compensation Scheme (FSCS). In addition, iDealing has Professional Indemnity insurance cover of £1,000,000 per claim. Clients at iDealing will be able to invest in the fully listed stocks of the London Stock Exchange (LSE) which are eligible to be held electronically in Crest (approximately 2,300 equities). These include Crest-eligible AIM shares, equities warrants (subject to signing a Warrants Risk Warning Notice) and most investment trusts. Dealing in US and EU shares is also available. Trades are funded from the contents of an iDealing Cash Account which is held at Bank of Scotland at 1% below Bank of Scotland base. The minimum cash deposit required to set up the account is £500. The cash account is also used to receive dividends. Trading on international indices aren’t presently offered. You can buy to the limit of your balance on your cash account. Dealing is at best and by share volume only within trading hours. Limit orders are not accepted. 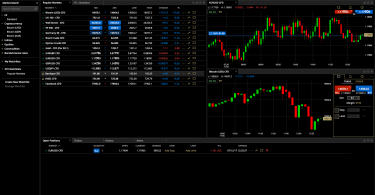 The system produces real time snapshot price quotes which must be accepted within 15 seconds. 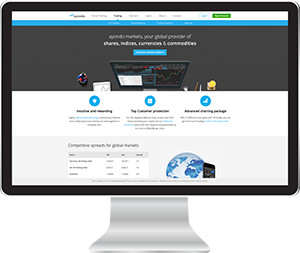 Account holders can view their portfolios at real time prices. Settlement is T+5 days. iDealing have somewhat inflexible administrative procedures but their dealing charges are extremely competitive and their site adequate. IDealing’s GBP10 a trade, for any size, is one of the lowest in the UK. They also pay a very competitive interest rate on the cash accounts. If you trade “at best” they give you a quote which is valid for 15 sec and which executes immediately if you accept. They also have a very good system for contingent orders (limits), which has a spike protection facility. For example, you can specify to sell if the price drops below 100p, but to hold if it also falls below 90p. I get a real time price feed from MoneyAM which I display using QuoteTracker. Whenever I trade, I firstly look at the bid, ask & last trade information for the stock, to check that the broker is offering best execution. Normally iDealing gets me a price a little inside the spread. 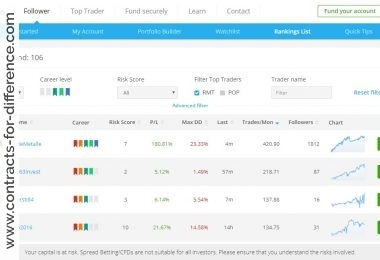 iDealing are also one of the few spread betting companies who offer spread bets on the FTSE 250 shares at market prices. On the downside they seem to have lower volumes compared to other brokers such as Etrade. I’ve had occasions where their system has allowed me to buy a certain amount of shares but not to sell the full amount. Also, when you wish to withdraw funds you have to print off a form and mail it to them, i.e. no phone or online facility. 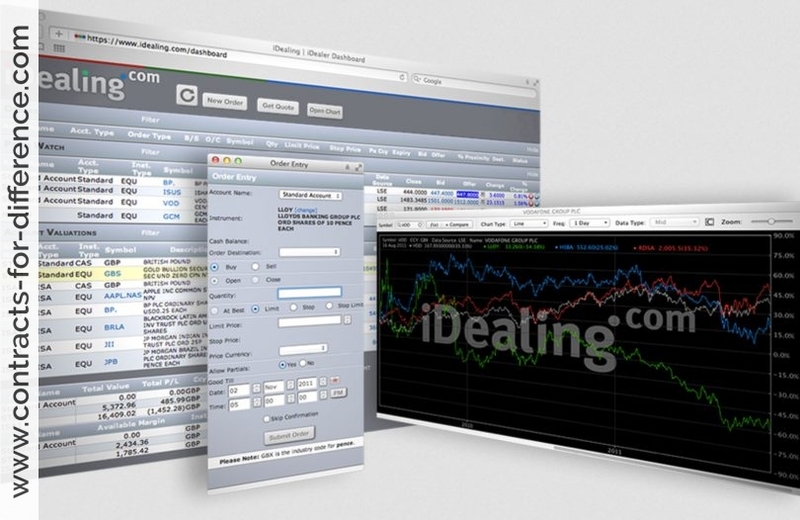 iDealing has recently started doing free live prices on its CFD accounts. They are also planning streaming LSE data in real-time on their Standard and ISA accounts (not sure if you’ll be able to watch stocks you don’t own however). I have been given an estimated annual cost which sounds very impressive. I only hope they can manage it. # Zero-bells and whistles design, good reliability and zero advert policy. # Offer prices on FTSE 250 shares. # Only way to contact is by e-mail (back up phone line available only when internet access is unavailable). # Lower trading volumes – had occasions where their system has allowed me to buy a certain amount of shares but not to sell the full amount. # They did offer me a phone number with their traders so that I could trade larger volumes but again it seems like they have only two or three traders so when the market is moving fast there is no chance of getting through to them. # Usually delay in crediting dividends. # Make you go overdrawn without alerting you and charge you interest without telling you. # Interest of 6.50% is charged on long positions. iDealing launched launched a contract for difference (CFD) dealing service in September 2002. They claim that their CFDs service offers cheaper dealing charges than are available elsewhere. 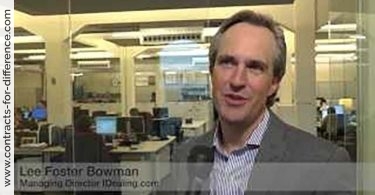 Foster Bowman of iDealing explains that the company hedges CFDs by taking out positions in the underlying stocks directly, rather than taking out CFD positions with institutional brokers, such as Dresdner Kleinwort Benson, a method which increases the cost to the investor through wider bid-offer spreads and higher charges. iDealing offers two types of margin accounts – the ‘commission-free account’ (with house prices) and the ‘touch account’ (with touch prices). The ‘House Account’ is commission-free and orders are dealt against iDealing’s house prices but is not appropriate if you plan to deal in less than GBP5000 worth of stock. ‘Touch Accounts’ are dealt on the prices reflecting the spreads of the underlying securities of the CFDs in question and carry a commission charge. It is also worth nothing that money deposited at iDealing is not held under the FSA’s client money rules. This means that your money may be at risk in the event of iDealing’s default or insolvency. Also, you do not have right of access to the Financial Ombudsman Scheme.